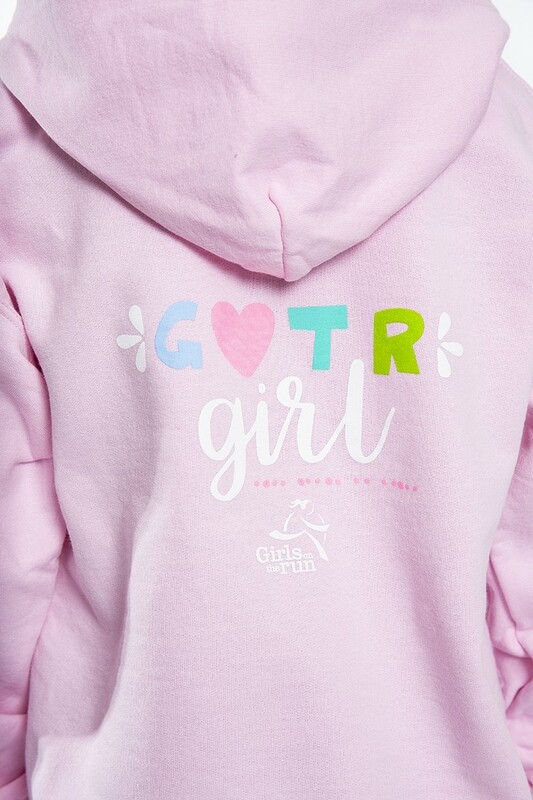 Whether she's running around the track or at Girls on the Run practice, this ultrasoft hoodie crafted from a heavy weight 8.0 oz cotton/polyester blend will keep her warm. Additional features include double needle cuffs, kangaroo pockets, double needle cuffs and a 1x1 rib athletic rib bottom hem finish off this great product for comfort. The model is 4’10” and is wearing a size large.